Resident wild turkey license. Various fees for specific permit hunts and hunter designations. Please refer to the website. Non-resident wild turkey license. Various fees for specific permit hunts and hunter designations. Please refer to the website. Wyoming turkey hunting surely feels like a big-game experience, if only for the rugged landscape you cover, and wildlife you might see along the way, in addition to the big birds you're chasing. I've visited the state numerous times, and if one thing is true, it's the unpredictable nature of Wyoming's weather patterns. Choose your gear wisely, especially cold-weather apparel – even in the spring when snow is fairly common. Once, after hauling a trailered four-wheeler as far as we could on muddy roads, we piled into that unit, went even further, deployed, hiked a mountain on a skinny game trail, viewed distant purple clouds, heard thunder as it snowed, then moved down the steep incline toward a shock-gobbling turkey. Eventually, I watched as the big strutter moved though falling snow toward the calls and my shotgun setup. What a beautiful memory I still relive now and again. Other times we've seen mountain lion tracks on our back trail, multiple strutters with dozens of hens nearby, and other encounters in this Western location. Historically, Wyoming wild turkeys were first trapped-and-transferred from New Mexico to the state in 1935. 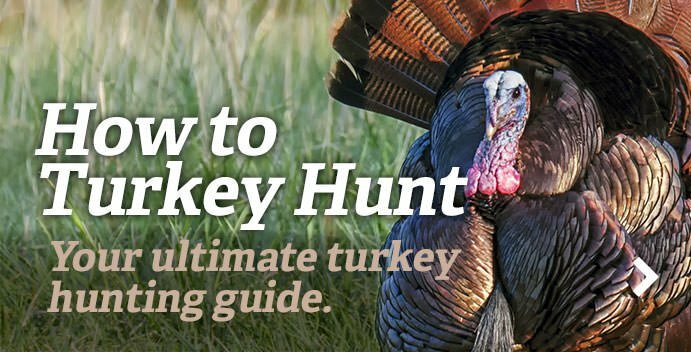 Although Cowboy State turkeys are not distributed on the vast amount of public ground other Western states provide, it does offer decent success rates for both local and traveling turkey hunters alike. I've filled turkey tags on each visit but one, and the skunking included five days of wind-driven rain and bone-chilling temperatures. At least the lodge food was delicious. Annually roughly 5,500 turkey hunters head to the woods each spring; about 2,000 of them are successful. The typical non-resident hunter success is about 70 percent in many areas, and about 40 to 50 percent for residents. Like many states, Wyoming also offers numerous walk-in areas, namely private ground that offers public lease hunting rights. Properties in 14 counties provide this access, and are often prime locations. One of the most popular areas to hunt the Merriam's wild turkey is the Black Hills region, which borders Montana and South Dakota to the north and east. That said, this is perhaps the only region of the country where this subspecies can be hunted in three different states in such close proximity to one another. Devils Tower is a well-known landmark you may pass on your way to turkey hunt. It's not uncommon to see fellow turkey hunters, with their tagged birds, posing with this as a backdrop. I've done it myself a time or two . . . The famed Black Hills in the northeast corner of the state is no doubt the best location for the public land hunter, and is followed by the Laramie Peaks region, which is located in parts of Converse, Platte and Albany counties. Although the Laramie region doesn't have the public land opportunities, the Black Hills do. There's enough National Forest, BLM and walk-in access to keep you sleeping well at night. Fun Fact: Wyoming has both Merriam's and Rio Grande turkeys, and a hybrid of the two subspecies, with the Merriam’s making up the primary population. More on turkey hunting in Wyoming.